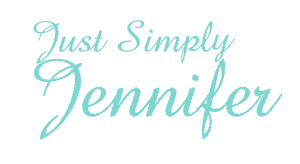 Diamond | Just Simply Jennifer! Here is a story that Kyra wrote. She’s now 9 years old. Once upon a time there was an ocean . This was a special ocean. This was a magic ocean. Mermaids swim in it. This is why. Once there was a diamond. One winter this diamond got so cold it’s color started to go away. Then the next morning the sun shined on that diamond. Powder got on it. This was not any old dust. This was magic dust. The diamond started to roll and roll and rolled until it came to a ledge. It fell off the ledge and shattered. Right when hope was lost the pieces started to move. It was putting itself together. Then it went on to another ledge instead of falling a bird caught it. Then it dropped and it landed in an ocean. People were swimming that day and they got the diamond. The dust on the diamond spread in the water. The eighteen people who were swimming turned into mermaids. They smiled and dove down deep. Then made homes and it has been that way ever since.